Coyote Tactical Solutions are one of those rare small gear companies that have certainly grown above the 1-man-band level but also haven’t gotten so monstrously big and weighed down by external contracts that they can still remain light on their feet and push out really cool and innovative little bits of kit. 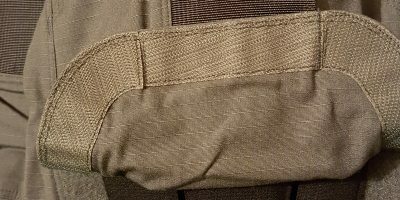 Something I was very pleased to see at their booth in the NEXT area of SHOT show was their elastic cummerbund with FirstSpear Tubes built in. 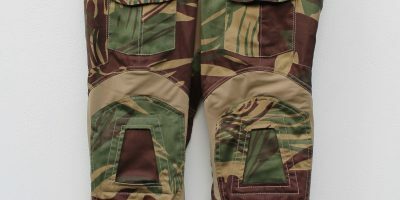 It’s 2 layers of elastic on the sides, the inner layer being a tougher type in a solid colour with the camouflage layer on the outside (camo elastic only being available in specific weights and styles). 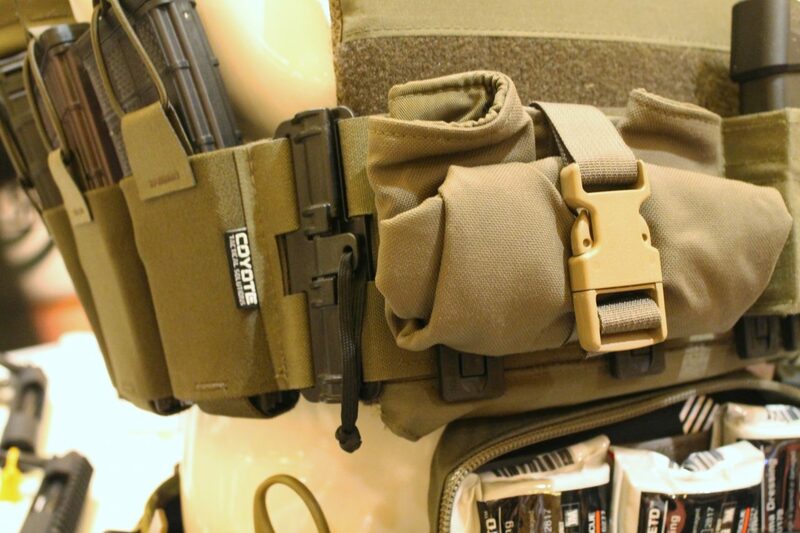 The model on display was specifically setup for PCs like the ever-popular Ferro Concepts Slickster that do not have a conventional front flap, but instead feature simply a loop field sewn directly to the front of the plate bag. 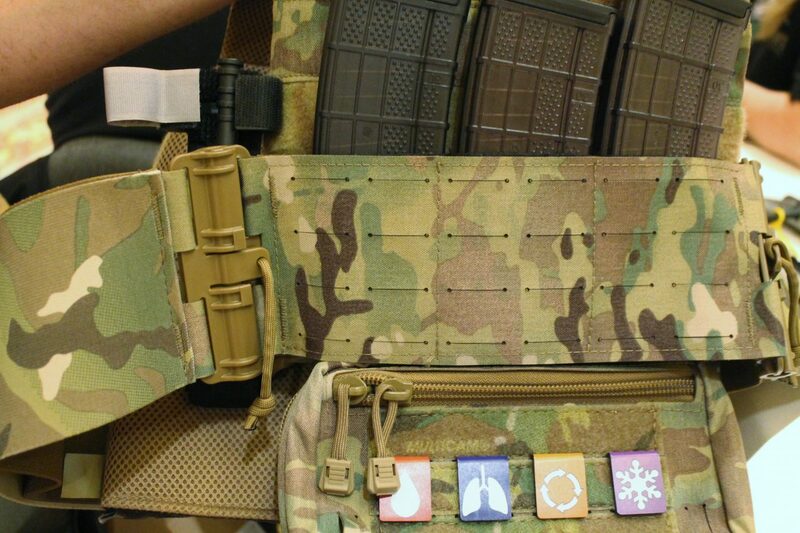 The Coyote Tac cummerbund not only adds the Tubes but there’s laser cut PALS up front for any pouches and further to all that you can also sandwich loop-fronted placards and small chest rigs in there. To my mind this is going to be an unequivocally essential upgrade for all you Slickster owners out there. Next up is something at least as cool perhaps even cooler and that’s strong coming from me given how much I love Tubes. The Modular Abdominal Pouch is probably the best all around front-dangler type rig I’ve seen, with a full drawbridge style opening representing the perfect way to access equipment in a pouch like this. 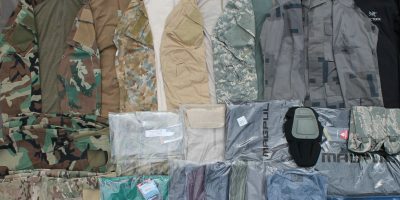 Fully loop lined to work in conjunction with the included accessories that can retain plenty of medical gear and an extra zipped compartment on the front to separate out other small items, plus further PALS on the front exterior. 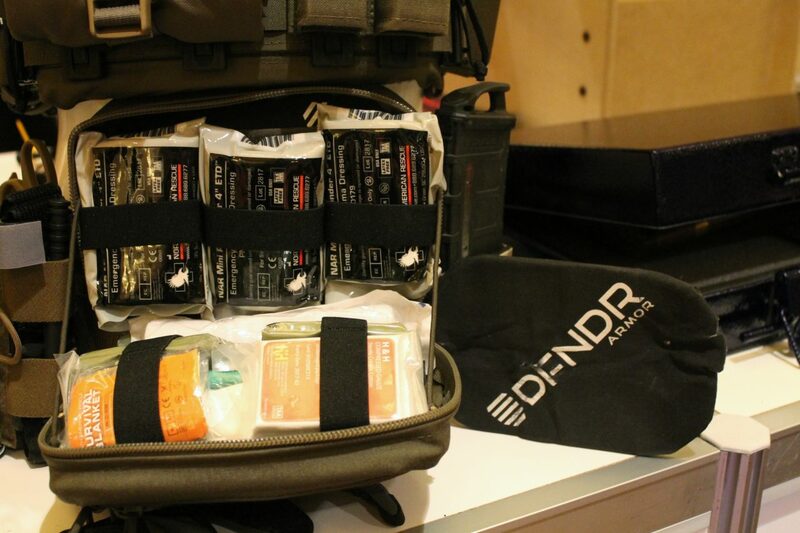 Most impressively however is another separate space on the rear of the pouch where Coyote Tac has worked together with DFNDR Armor to produce a lvl 3A plate that honestly weighs almost nothing but will provide that hard plate protection against pistol threats to the lower abdomen area without preventing the wearer from crouching down the way a solid plate that had this same extra length would. Last but not least I have to say I was a fan of their M.A.R.C.H. clips. Simple pieces of kydex that weigh a mere couple of grams, but securely and clearly mark type of gear stowed inside anything that has 1″ webbing/laser cut on it i.e. 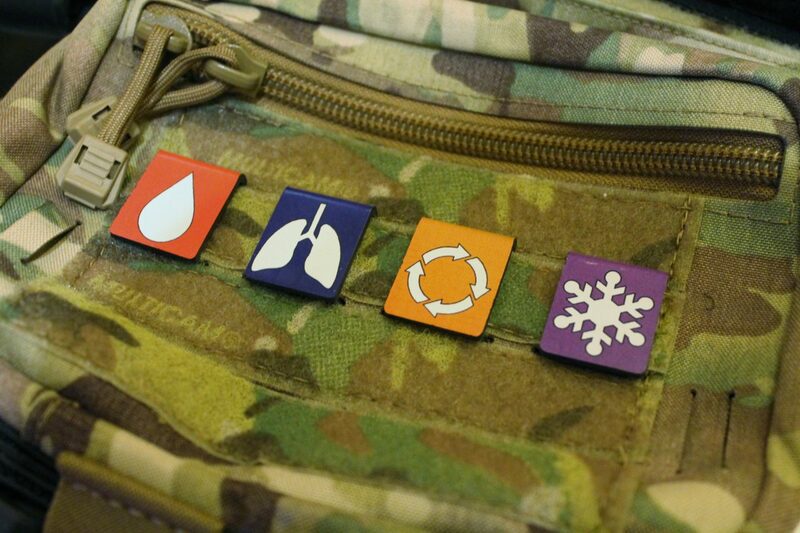 anything with any PALS or 1″ straps in any configuration.